“The Forty Servants” is a Deck of Cards that can be used as a Divination system and a Magical system. 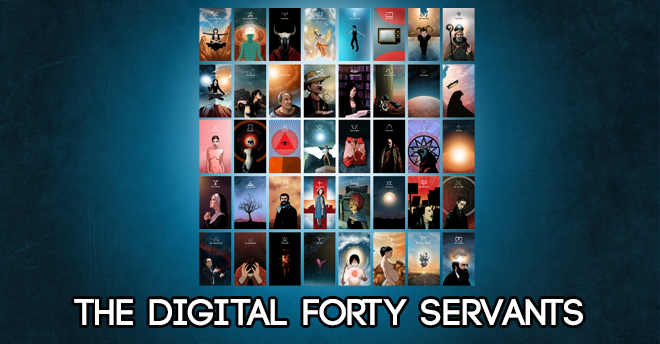 This is a Digital Download of Prinable PNG versions of the 40 cards. Like other Oracle Card Decks, it can be used for Divination to gain insight on problems at hand, discover insights from the past, or look somewhat into the future. However, unlike most other Oracle Decks it has a second purpose -a Magical purpose. The 40 Characters of the Deck can also be used as Servitors (Or Servants/ Powers/ Energies/ Archetypes) to get you more of what you want and less of what you don’t want.